Andy Fields book “Discovering Statistics Using SPSS” is incredibly popular at my department. In fact, it was the first statistics book I bought that was not a course book. 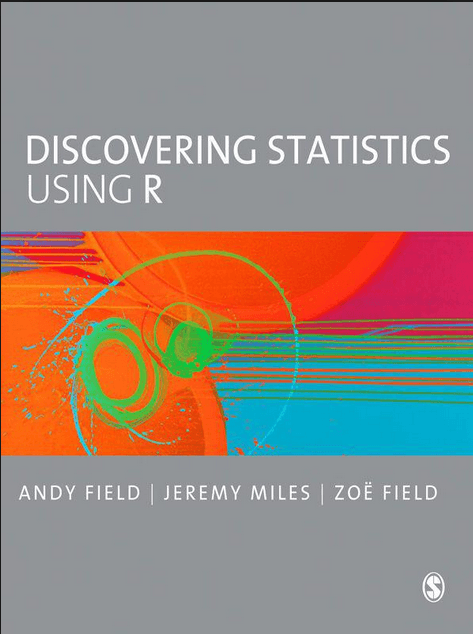 “Discovering Statistics Using R” uses the same pedagogical and humorous approach to the subject (i.e., learning statistics using R). It covers basic statistical and research concepts, how to explore and visualize data, basic uni-variate (e.g., t-test, correlation, ANOVA) as well as some multivariate statistics (e.g., MANOVA, & Factor Analysis). Emphasizes the application of statistics without leaving theory out. Highly recommended for an introduction to statistics and R.
“The Foundations Of Statistics” focus is on statistics in the linguistics, psychology, and cognitive science disciplines. This book covers basic statistical concepts (e.g., power, ANOVA, linear mixed effects/multilevel models). 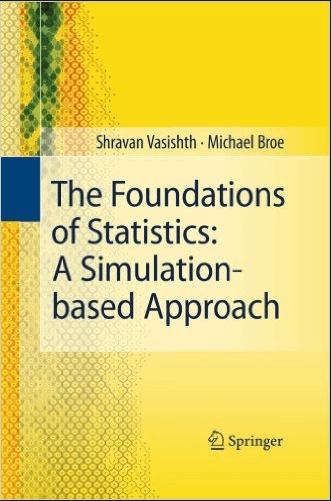 “The Foundations of Statistics” has a simulation-based approach and all simulations in the book can be carried out using R. Recommended for advanced undergraduate and graduate students. A very good introduction but you may need some prior programming experience. This book covers recent advances for quantitative researchers with practical examples from social sciences. The twelve chapters written by distinguished authors cover a wide range of issues–all providing practical tools using the free R software. Note that this book covers Social Science. However, there are some interesting statistical techniques to learn (e.g., Quantile Regression). “Learning Statistics with R” is a work in progress. The first draft is available for free. If you prefer to read a “real” book, there is also the option to buy a relatively cheap hard copy. 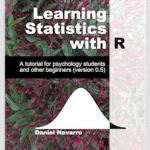 The book is written by Daniel Navarro for his introductory statistics class (for psychologists). 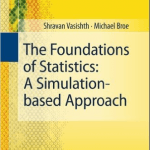 It covers a background on why we learn statistics and a short introduction of research design. 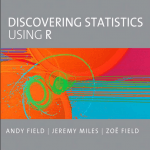 The book progresses into introducing the reader to R, working with data (descriptives, visualization, etc. ), and statistical theory. It covers parametric tests such as z-test, t-test, ANOVA, and linear regression. 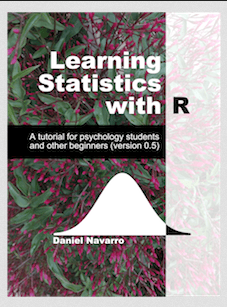 “Learning Statistics with R” also covers Bayesian Statistics in one chapter. There are probably more R books with a focus on Psychology or Social Sciences, but I am not aware of them. If you happen to know a good book, maybe covering a more advanced and/or specific topic, please leave a comment.